The animals at the Genesee County Animal Control need our voices. Together we can and will make positive change. The primary election is upon us and voting on November 4th, 2014 is the most important thing you can do for the animals. If we elect the right County Commissioners, we could see dramatic improvements at Genesee County Animal Control in a very short period of time. If not, nothing will change. District 1: We endorse Bryant Nolden. District 3: We endorse Jamie Curtis. Mr. Curtis has put it in writing that he will support a director change at GCAC. He has voted against Lazar in the past. Mr. Curtis has also served as the Chairman of the Board in previous years and if reelected he is likely to be the Chairman again. The Chairman sets the agenda and determines which Commissioners work on the various projects. It is important that this responsibility does not go to someone who is not animal friendly, and so it is very important that Jamie Curtis is reelected. District 4: We endorse Don Pfeiffer. Don Pfeiffer is challenging John Northrup for his seat. Mr. Northrup is NOT a supporter of change at GCAC. Don Pfeiffer is a big animal lover. He and his wife have pets of their own and have been involved in cat rescue in the past. When we spoke with Mr. Pfeiffer, he was outraged at the high kill numbers and views it like we do. We have no doubt Don Pfeiffer would be a huge advocate for change. District 7: We endorse Michael Lynch. This is the district previously represented by Archie Bailey, who has decided not to run this time. We endorse Michael Lynch. This decision was more difficult for us than the others because Mr. Lynch has bred high value hunting dogs in the past. GRACE does not believe in breeding while other dogs are dying because they are homeless. However, if there is a best case scenario for breeding, this is it. Only one litter every 2-3 years, extremely selective with homes, etc. However, in talking with him, one thing was clear, this man loves dogs. Also, his family has adopted from GCAC several times. After talking with all of the other candidates, it was clear that Michael Lynch was more passionate about our cause than the other candidates, and that he would get involved and push for change. District 9: We endorse Jim Slezak. This district is so important to win. Pegge Adams is the current Commissioner here, and she has been a disaster for the animals at GCAC. She is responsible for bringing Stepheni Lazar back as Director, and ever since she has been making excuses for or denying the horrible things that happen there (hidden dogs, high powered hosing of the dogs, poor cleaning processes that lead to disease, extremely high kill rate). 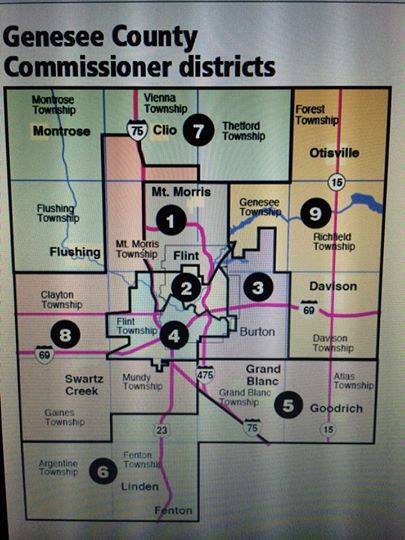 Please, if you know people who live in district 9, ask them to vote for Jim Slezak November 4th. Commissioner Adams only won her 2012 primary by 36 votes. If we communicate well, and people come out to vote on November 4th, we can remove her easily.